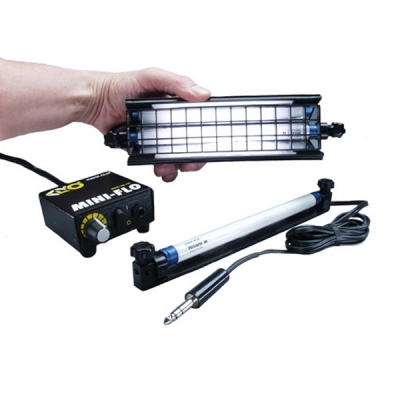 Kino Flo system was designed as a soft fluorescent lighting source that could be plugged into the wall on location. This particular car kit can be powered through a cigarette lighter, or a/c power source. Comes with (2) fixtures, lamps, accessories and case.